I only got these lenses in plano, so I probably won't wear them for going out. The color blends really nice with my own eye color, but give it a subtle pattern. Enlargement wise, these are decent without being bug-eyed. Here are some comparison pics with the Hurricane Browns I have. 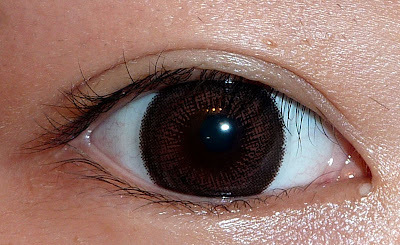 I am a fan of stronger colored lenses, so I have to say I prefer the Browns more (the amber color is really sweet). However, it is easier to see the "hurricane" swirly pattern in the Hazels even though they are darker. 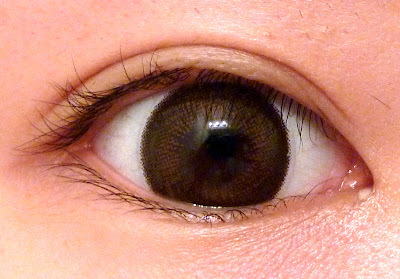 Here is another comparison with Honey Wing Brown, a favorite among natural lens fans. I think the Wings look a bit smaller than the Hurricane Hazels. Here are all the lenses featured in this review. 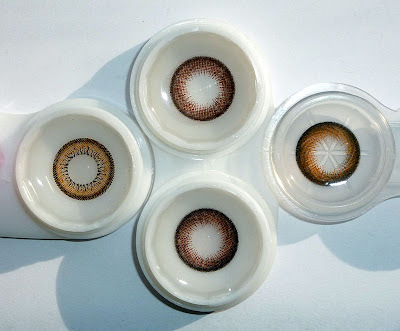 Clockwise from top: Hurricane Hazel upside down, Hurricane Brown, Hurricane Hazel right side up, Honey Wing (All from GEO). Design: 8/10 - Awesome design, but color is a bit dark for my taste. Enlargement: 9/10 - Decent enlargement. Thank You eye love sushi for the lenses! i love your circle lens reviews!! How natural would you rate these on a scale of 1 to 10? 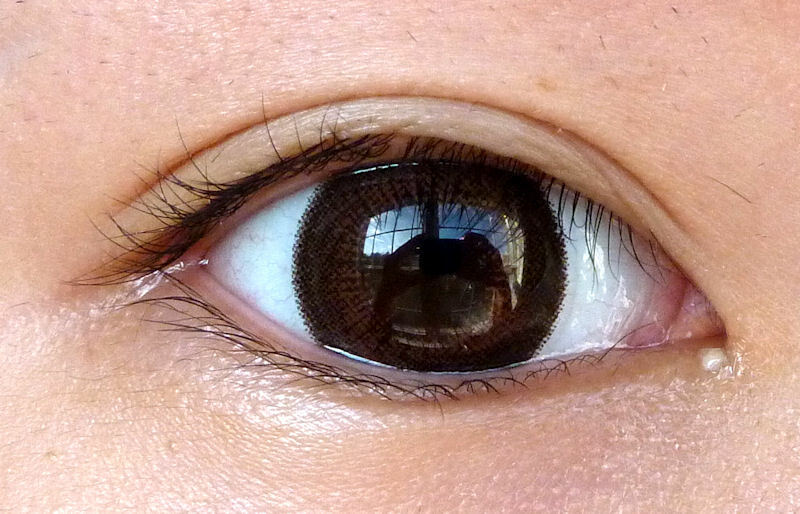 Would people look at you with these lenses on and be like..."whoa there are swirls in your eyes"? and are they glossy like the first picture or was that just the lighting? 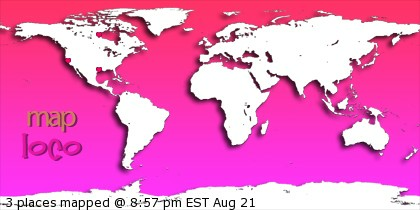 sorry to bother you, but have you any idea what happened with eye love sushi??? i ordered there but they dissapeared. thanks.